The show is ending now, as is this page. Thanks for joining us tonight. Our live text build-up to Sunderland v Newcastle, Manchester United v City and the rest starts at 10:00 GMT tomorrow. Actually I'm doing that one too so I'd better go to bed. Don't forget, clocks go back tonight - so we all get an extra hour in bed. After an autograph or two, Dylan? Birmingham Mail: "West Brom soaked up Norwich pressure early on before imposing themselves as an attacking force. It was by far Albion’s most adventurous display in an attacking sense." Norwich Evening News: City looked shell-shocked and struggled for a reaction, with a string of calamitous passes and slack defending leading to Ruddy having to make a sprawling stop from Brunt’s angled drive in the 64th minute. Telegraph: Alex Neil says he is determined not to compromise his attacking philosophy but Albion were just too canny and the counter-attacking tactics Neil told his players to expect had their measure too comfortably. Salomon Rondon only touched the ball twice in the box in his 74 minutes on the pitch (right side of this graphic) compared to Norwich striker Dieumerci Mbokani's six (left side). But he scored the only goal of the game. BBC Sport's Neil Johnston picked Chris Brunt as his man of the match in his report. Do you agree? 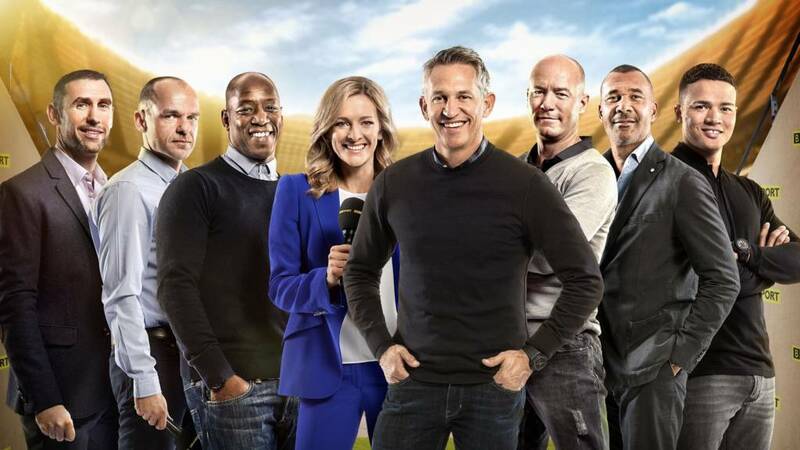 Get involved via #MOTD on Twitter or post on the BBC Match of the Day Facebook page. You can also text on 81111 in the UK only. The defenders do a lot of work on the training ground, we work very hard on certain aspects. We talk about it because of the record I have got but we also work hard going forward and today we got our reward. The quality of our play going forward was very, very good at times." I wouldn't say it is worrying times. It is not a nice time, I have never even lost two league games in a row, never mind three. Yes, you are concerned, I'm looking at what I can do to put it right. I'm trying to do everything I can and I'm working as hard as I can and it is about making sure when the lads are on the pitch they do as well as they can. Kind of stepped on our toes there, Tough Tackler. Here's a graphic saying basically the same thing. The heat map of West Brom's Claudio Yacob, who made seven interceptions against Norwich, the most by a Baggies midfielder in a Premier League game since February 2014. Gareth McAuley (23) intercepted the ball and set West Brom on their way to the goal as Salomon Rondon beat Sebastien Bassong in the air to score. Jack Fisher: Changes needed now. Not the management but we've not been good enough atm. This is what happens when you don't sign a new CB or two. We're going to struggle even more considering we have Man City, Swansea, Chelsea and Arsenal as the next four games. Worrying times for us fans. Tom Osborne: You can't complain about poor results when you choose not to invest the money. WBA solid defensive unit. Danny Murphy: "His hand is in an unnatural position." Gary Lineker: "It's on the end of his arm." Congratulations if you've made it this far. Norwich v West Brom is our final game of the night. You can probably work out it's not a 5-5 draw. Quote Message: With this goalscoring streak, Jamie Vardy has to be considered for Roy Hodgson's England squad. He's shown he can score against quality opposition. With this goalscoring streak, Jamie Vardy has to be considered for Roy Hodgson's England squad. He's shown he can score against quality opposition. Guardian: Jamie Vardy is playing with such belief they should consider relaunching Roy of the Rovers with his face on the front. Independent: By Jamie Vardy's recent standards it was a relatively quiet afternoon but there was much to admire about the finish that won the contest. Daily Mirror:The noise from the crowd was immense and constant. Stoke say they’ve got the loudest crowd but they’d have to go some to beat this din. Ian Wright is raving about Jamie Vardy. In his MOTD column for our website, he says Vardy can be England's Toto Schillaci at Euro 2016. Jamie Vardy managed 30 touches - double the number registered by Palace's starting striker Fraizer Campbell. Simon Watmo: Vardy is a proper battler, pace & skill for a young lad going places..
BBC Sport's Mike Henson picked Jamie Vardy as his man of the match from the King Power Stadium. As well as scoring the decisive goal, the 28-year-old England international was a constant pest to the Palace defenders, hustling and harrying them into mistakes. Do you agree? Tweet in your view on #MOTD on Twitter or post on the Match of the Day Facebook page. You can also text on 81111 in the UK. Crystal Palace boss Alan Pardew: "It was a tight game, Leicester weren't really going anywhere and it was a mistake that cost us the game. "I thought Claudio Ranieri was goading our players and he didn't shake my hand at full-time, which is disappointing. "But it's a long game and they've got to come to our place and we'll remember that." Leicester manager Claudio Ranieri, who promises a "cheap pizza", says: "I took the ball because it was our ball. Maybe now I meet Alan Pardew in my dressing room. "It was a more Italian than English match apart from the last 10 minutes. "We battled well and deserved to win. We are taking it step-by-step. It's important to achieve 40 points, that is our first goal." Claudio Ranieri promised his players pizza if they kept a clean sheet. I wonder if they've already had it tonight. Because Dwight Gayle picked up a red card last week? Did you arrive late to the fantasy-football party? Jamie Vardy has been colossal in this year's Fantasy Football and is now selected in nearly 44% of teams. So the question is, did you get in before the masses and pocket a load of points? The big man has scored in the last seven matches he has finished in the league. A frightening run of form which moves him on to 70 points for the season, the highest-scoring striker. Phil Goodfello: Superb clinical goal from Vardy. Those that say he is all pace and no skill then watch the dink for his goal and weep. Ryan Beattie: He is only getting better and better. Ruud van Nistelrooy holds the record for the longest Premier League scoring streak - having found the net in 10 successive top-flight games for Manchester United in 2003. Jamie Vardy's goal followed a fluffed pass by Crystal Palace defender Brede Hangeland (number four). Do you have Jamie Vardy as your fantasy football captain this week? Let's find out if that was the right call. BBC Sport's Saj Chowdhury picked Odion Ighalo as his man of the match in his report. The Nigeria striker set up both goals which means he's had a hand in his team's last seven Premier League goals (five strikes and two assists). The graphic below shows Watford captain Troy Deeney's 25 attempts on goal this season - the yellow arrow shows the one he scores from. And the image below shows that four of his five attempts on target this season were central and saved by the keeper, the one he scored with was to the keeper's left. Nobody has mentioned Hugh Laurie this week. Disappointing. The Guardian: "Stoke were guilty of errors when both goals went in, the first seeing Philipp Wollscheid slip as Deeney shaped to shoot, and for the second Ighalo fed Abdi, having dispossessed Marc Wilson, who had come on early for the injured Geoff Cameron." Stoke Sentinel: "Oh dear! Mark Hughes's 100th anniversary party was a miserable anti-climax as Stoke were comfortably humbled in front of their own fans here at the Britannia this afternoon. "Hughes watched helplessly as his players struggled to find their rhythm and struggled even more to threaten a goal in Stoke's 100th game under Hughes." We tried to play very well. The performance was the main thing. We tried to play with high confidence - it was tough against a Stoke side who came into the match having won the last three. After we scored we tried to keep playing a high line. We worked really hard. The balance was amazing between defence and offence. It wasn't one of my best games. Losing defender Geoff Cameron to injury disrupted us. We had to make changes at the back. We didn't deal with the two up front. We needed to be better than we were today. Their two guys up front demand service and they managed to mess us around at the back. Jamie Elkes: Shocking defending we've always had a dodgy defence ever since Mark Hughes came in at least under Tony Pulis we we're solid it was a direct high tempo blood and thunder style but got results we'll bounce back at Newcastle typical of Stoke. Rob Knowles: Considering the money stoke have spent and the players they have brought in they are a poor. poor side. Quote Message: Marc Wilson needed to clear the ball for the second goal, he's in control of the situation but wants to take an extra touch. From Mark Hughes' perspective, I've played under him and I know they'll be some tough words in the dressing room at full-time. They've conceded two goals that they didn't need to. Marc Wilson needed to clear the ball for the second goal, he's in control of the situation but wants to take an extra touch. From Mark Hughes' perspective, I've played under him and I know they'll be some tough words in the dressing room at full-time. They've conceded two goals that they didn't need to. Stoke came into today on the back of three straight Premier League wins. Their opponents were struggling Watford so surely another Potters win? Some of Villa's defenders seemed to be critical of Brad Guzan's positioning for Gylfi Sigurdsson's winner, but the Match of the Day pundits don't agree that the goalkeeper was to blame. Danny Murphy says it's the best free-kick he's seen this season. Guardian: Tim Sherwood has vowed to fight on as manager but his position appears desperately bleak and close to untenable on the back of a sixth successive Premier League defeat, with the Aston Villa board expected to make a decision on his future within the next 24 hours. Wales Online: Against Villa, of course, the Swans were not back to their best, oh no. The swagger, the ‘Swansalona way’ that has thrilled even neutrals in recent seasons and helped frustrate Chelsea and beat Manchester United earlier this campaign is still absent. Mirror: There has been a desperate inertia - lifted only sporadically - about this place for a long time. A long time before Sherwood arrived with his smile, swagger and soundbites. Daily Mail: "Aston Villa and Swansea City may face an FA investigation after what appeared to be a heated tunnel bust-up involving Villa skipper Micah Richards and opposing defender Federico Fernandez at the end of their match at Villa Park." A chance created is an assist or "the final pass or pass-shot leading to the recipient of the ball having an attempt at goal without scoring"Image caption: A chance created is an assist or "the final pass or pass-shot leading to the recipient of the ball having an attempt at goal without scoring"
BBC Sport's Mandeep Sanghera picked Swansea's Andre Ayew as his man of the match in his report. The goals Ayew is getting from midfield are proving crucial to his side this season and he got another one to ease any pressure on manager Garry Monk, said our man. The way we have been playing, it was good to get the three points in the way we did. All of it has been a bit of a circus this week. It was about getting through this period. Hopefully, we can get some momentum now. I don't concentrate on it [speculation about his role]. I focus myself and group on football. I'm disappointed with the result. I didn't think we deserved to lose. We can't carry anyone because we're getting done. I said to the boys everyone has to play to their maximum to get anything from a game. At the moment we are short. Aston Villa lost possession twice in the build-up to Swansea's winner. Idrissa Gueye (8) lost the ball in the air from Alan Hutton's (21) clearance and then after Swansea lost the ball Kieran Richardson (18) gave it back tom them. Andre and Jordan Ayew were a rare instance of brothers coming up against each other in a Premier League game - let alone scoring. Jordan said: "We are family, there is no problem." Quote Message: "This was a game Villa couldn't afford to lose. They've got tough games coming up - City, Tottenham - and you start to look around and wonder where the points are going to come from if they don't come today." "This was a game Villa couldn't afford to lose. They've got tough games coming up - City, Tottenham - and you start to look around and wonder where the points are going to come from if they don't come today." Eric Presset: Sherwood is a great manager he will pull them through. We have plently of quality we just need to start working better as a team. Sohail Ijaz: Disgraceful manager, absolutely clueless. I thought Lambert was bad. This guy is a joke. Hutton, Richardson, Lescott and Bacuna are all mediocre. Sherwood OUT! I hope Tim Sherwood isn't watching. Or reading this page. Because he won't like what's coming. Since then, the Merseyside club have lost 18 and drawn four of their visits. Ouch. BBC Sport's Mike Henson picked Mesut Ozil as his man of the match at the Emirates Stadium. Ozil ran further than any other Arsenal player and completed 88% of his 69 passes. More importantly, he created the opening goal, set up other clear-cut chances and also struck the post himself. His link up play with the impressive Santi Cazorla and front man Olivier Giroud posed major problems for Everton. The Daily Mirror look at five things Arsenal's win highlighted and one is "Mesut Ozil is a joy". Respected journalist John Cross - who covers Arsenal extensively - says he still has his doubts on the Gunners' title credentials but says they can win it. Everton manager Roberto Martinez: "I thought we shot ourselves in the foot in giving away such an easy two-goal lead. Arsenal were not creating any real threat. But I very much enjoyed the reaction - the personality and desire of wanting to get back. "There's two important moments in the second half Petr Cech makes a save and Romelu Lukaku heads against the crossbar. There are many positives but clearly on the other side is giving up a soft two-goal lead. "We're very concerned about Phil Jagielka. It's a knee injury - we don’t the extent of it, but that's the biggest negative today." Jagielka left the field in the second half after a 50-50 challenge with Alex Oxlade-Chamberlain. Arsenal manager Arsene Wenger: "We played with a lot of focus. In the second half we continued to dominate. That was three massive points. "After ten games we are there. Let's keep our head together and fight for the future." "It is a perfect week. It is not easy to have that. I will have to rest some players on Tuesday night." Oh Gareth Barry has just been sent off for a second booking. Didn't see that one coming. It was a gentleman by the name of Michael Cullen who was raising money for a hospice. See below. Two headers in the space of under two minutes did serious harm to Everton. The first saw Arsenal again work the ball right, threatening the inexperience of Brendon Galloway at left-back for Everton. Mesut Ozil's delivery was sumptuous and Olivier Giroud stole a march on Phil Jagielka. Bingo. The second header is more straight forward as Santi Cazorla's dead ball delivery left Laurent Koscielny with little to do. Olivier Giroud's movement is worth a look. He creates space for Koscielny to attack. So it appears some still call them 'The Arsenal'. Yup. But you know how he can be. And on Friday he suggested he would have a different relationship with the media. BBC Sport's Chris Bevan picked Dimitri Payet as his man of the match in his report. How much longer does English football have him for? The Guardian: "Chelsea did not do their own job as well as champions should. Defensively it is they who have been weak and naive this season. There were suggestions before this match that they were improving on that front – two consecutive clean sheets served as evidence – but West Ham ran a serious stress test and Chelsea failed it." Daily Mail: "Where once there was structure and order to Chelsea, now there is simply rank indiscipline. "Jose Mourinho lost more than the match on Saturday. Dignity was also sacrificed amidst a chaotic breakdown of order which saw six players booked, one sent off and Mourinho and his assistant Silvino Louro also dismissed." Mirror: "Slaven Bilic has lots of silky attacking options but the raw power of the England striker is still invaluable. "Last week he came on to wreak havoc as West Ham scored two late goals to win at Crystal Palace. Against a dogged Chelsea defence, his back-post header earned another three points." West Ham boss Slaven Bilic on Andy Carroll, who came off the bench to head home the Hammers' winner: "It’s impossible to mark him in the box. His quality was never in question. "If he’s in good shape now we have a good chance that he will be injury free for a long time. In that case West Ham and England will benefit from that a lot." Chelsea's coaches including Jose Mourinho refused to do interviews. Defender Gary Cahill told BBC Sport: "You’re left scratching your head sometimes. In the first half the Cesc Fabregas goal could have been given and we had the ball that was nearly over the line. That sums up the way we’re going. "And then we’ve got the sending off. Originally we played on – we thought the referee had played on. Maybe the assistant called it back, I’m not sure sure what’s happened there. "We’ve not had the rub of the green but we’re not feeling sorry for ourselves. We have to work hard to turn this round. "We worked really hard at 10 men and had the majority of the play in the second half but still lost. The game was a summary of our season at the minute." Worth pointing out that regarding today's incidents nobody from the club has talked about conspiracy theories. West Ham striker Andy Carroll told BBC Sport: "We’ve got a great atmosphere at the training ground. It’s fantastic to be a part of. He’s a top manager – he analyses the opposition and then tells us how to beat them. "We thought we could beat them today. It wasn’t about Chelsea, it was about us. We’ve had some great wins this season and hopefully we’ll carry on. The way we’re going, we’ve got a right shot at it [a high finish]. I don’t see why not." While Andy Carroll's header may have been a no-nonsense finish, his team did not just lump it forward - they pressured Chelsea's 10 men into submission before the decisive blow came. A John Terry header (26) cleared the first wave of attack but the Hammers came back for more and their big number nine put Aaron Cresswell's cross in the back of the net. Quote Message: "The story is gathering momentum week after week. Jose Mourinho's been sent off and will get the headlines again. It's continuously bringing Chelsea down. The club gave him a new contract in the summer and that would suggest they won't get rid of him. But it's always been a quick-fix at Chelsea if it's not working. Carlo Ancelotti won the double and got the sack." "The story is gathering momentum week after week. Jose Mourinho's been sent off and will get the headlines again. It's continuously bringing Chelsea down. The club gave him a new contract in the summer and that would suggest they won't get rid of him. But it's always been a quick-fix at Chelsea if it's not working. Carlo Ancelotti won the double and got the sack." West Ham boss Slaven Bilic told BBC Sport: “We are delighted. We are playing good. It was important for us to do it against the champions and in front of our fans. It feels like a perfect day for us. “On the disallowed goal, nobody can say Cesc Fabregas was onside and nobody can say he was off. It was very tight. It was a very tough decision for the referee. You have to freeze the picture and you’re still not sure. Chelsea had a point but if it was given, we would have had a point to complain. "The red card looked quite clear, the two bookings were bookings. It had a major impact on the game." Do you think he picks himself? Nathan Pendregaust: Form is temporary, class is permanent. Mourinho will come good again, maybe not at Chelsea though. Which would be a huge loss to the Premier League. This is how close Chelsea got to an equaliser at Upton Park when they trailed 1-0 in the first half. At least 95% of the ball crossed the line when Kurt Zouma's headed goalwards but the 5% that didn't meant it did not count. West Ham cleared and broke forward, with Nemanja Matic picking up his first booking for fouling Cheikhou Kouyate. Nine minutes later, he was off. Looking forward to the post-Xmas slump? Here is that first West Ham goal in graphical form. Chelsea midfielder Ramires (7) was the only player to get a touch on Dimitri Payet's corner before it reached Mauro Zarate... but would it have made a difference if the Blues had put a man on that far post to stop Zarate's shot finding the bottom corner? The show is starting now on BBC One or by clicking the play button at the top of this page if you're in the UK. You got that Emma. Pure magic. I saw someone complain on that Gary Lineker Facebook stream that they had avoided the results today and were annoyed that he'd ruined that. Do people really still do that? And yet still click on Facebook football videos. Just to give Chelsea fans a fair warning, you might just want to head to bed now. Wrighty is sure to be smiling. There was a world first earlier when Match of the Day host Gary Lineker revealed tonight's running order on Facebook Mentions. You can still watch it here now. But if you don't want to click on that link to find out, the running order is coming up for you on this page. The show starts at 22:30 BST, which you can watch at the top of this page if you're in the UK or on BBC One if you have a television with that channel. This is the place to join in the social media debate around the show - and get extra information around each match. A 'second-screen' experience if you like to use the terminology. Over two goals a game, winners in all six games, two players sent off, a manager dismissed and at least two clubs in crisis - sit back and enjoy Match of the Day along with our social page here.